That’s So Very Vanessa! BlogTalk Radio All-Star Listeners. 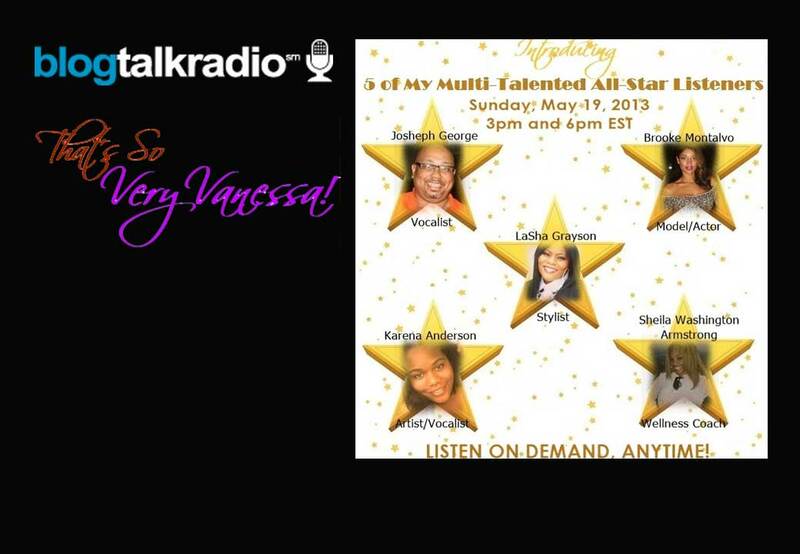 Joseph George, Karena Anderson, Brooke Montalvo, LaSha Grayson, and Sheila Washington Armstrong are just five of my All-Stars who tune in to my weekly radio show. I hope you tune in today and hear why they really are STARS!